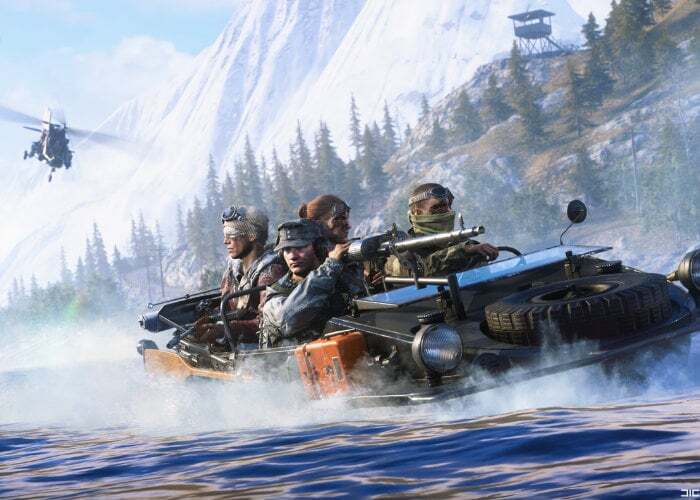 EA and DICE have released a new Battlefield V Firestorm Battle Royale gameplay video providing a further glimpse at what you can expect from the new game which launches in a few days time on March 25th, 2019. The game will roll out as a free update to all Battlefield V players, and sets the “spark” for Chapter 3 Trial by Fire. If you are unfamiliar with the new Battle Royale experience coming to Battlefield V, it takes the form of a 64 player battle fought across land, sea, and air on the largest Battlefield map ever. Allowing players to either group up with friends or play solo. “Roll four-person deep and face the Firestorm with allies or go at it solo”. For full details on the new Battlefield V Firestorm Battle Royale game jump over to the official website by following the link below.